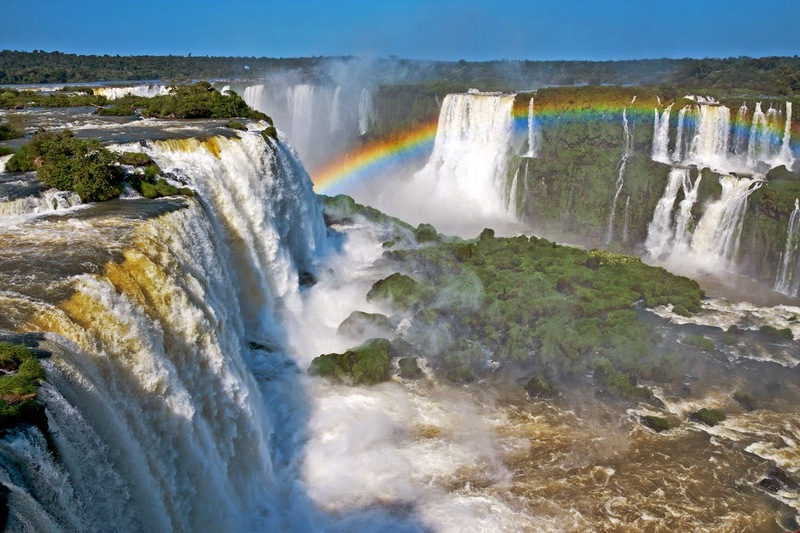 About 20 KM north of the astonishing Iguazu Falls, there’s another natural wonder even more stunning than the Iguazu falls. 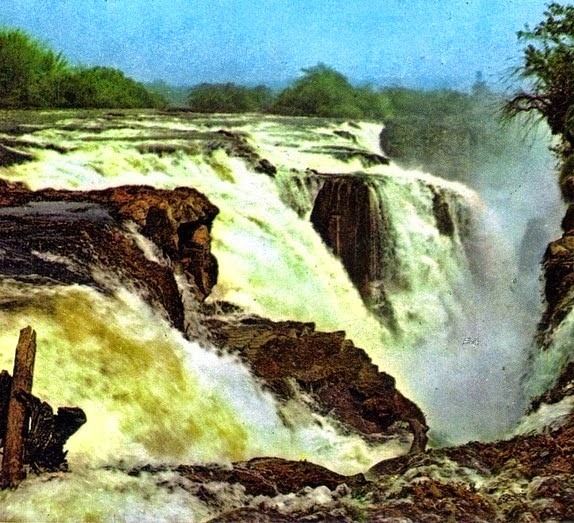 This is so called Guaira Falls or Seven Falls or Sete Quedas in Portuguese along the border between Brazil and Paraguay. 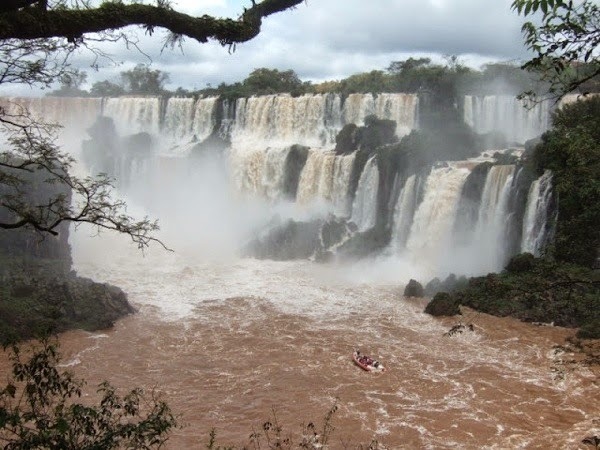 This was a beautiful series of 18 massive waterfalls on the Paraná River situated at a point where the river was forced through a narrow gorge. 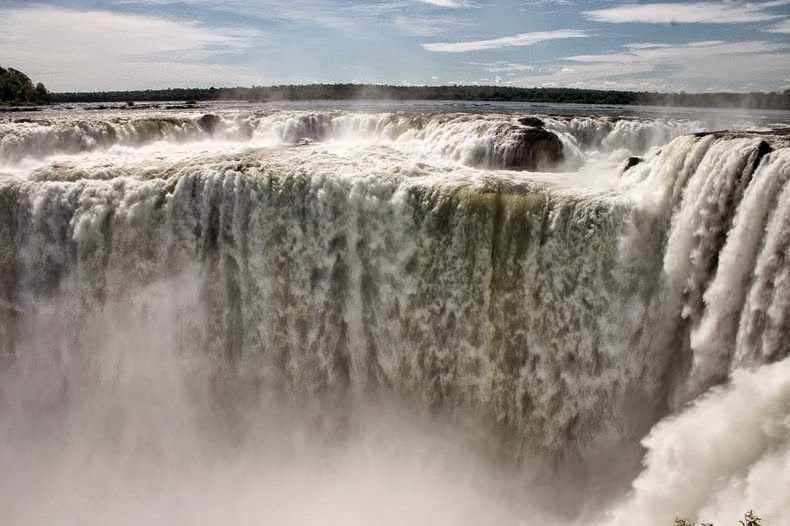 Moreover at the head of falls, the river becomes narrowed abruptly from a width of about 380 meters to 60 meters, creating one of the most potent waterfalls on earth with a flow rate double that of the Niagara Falls. The whipping water formed a deafening noise that could be heard from 30 kilometer away. For several years, it was a popular tourist attraction and a favorite place among the locals, until 1982 when the Brazilian military blew away the rocks over which the water fell to create a lake for the newly constructed Itaipu Dam. The Itaipu Dam is the biggest operating hydroelectric plant in terms of annual energy generation, generating approximately 100 TWh of power each year that accounts for 75% of the electricity consumed by Paraguay and 17% of that consumed by Brazil. 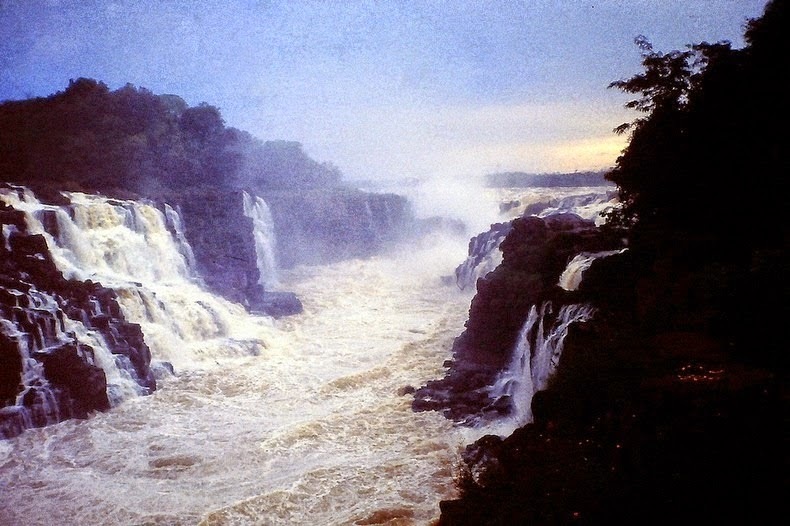 To construct such a gigantic dam some sacrifices had to be made, and one of them was to flood the Guaíra Falls. 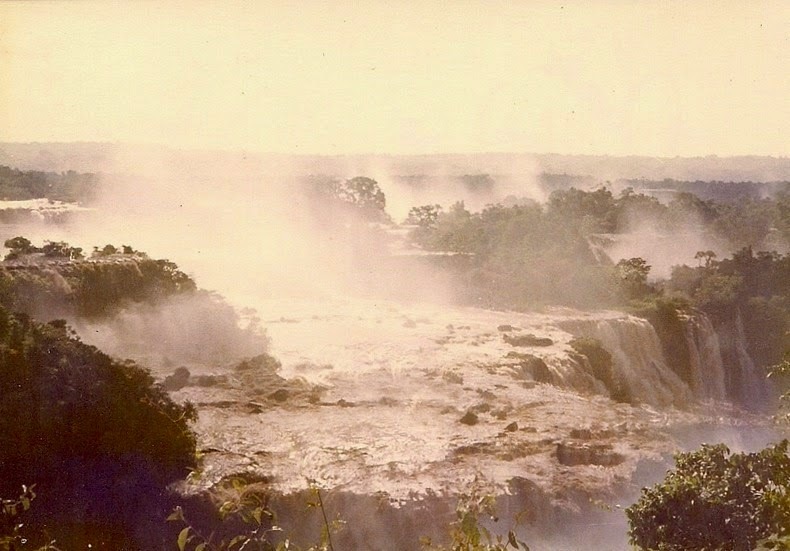 Amazingly a months before the great flood, thousands of sightseers flocked to the area to see the falls for the last time. When a group of excited visitors walked over a miserable maintained suspended footbridge, it collapsed immensely under the weight resulting in the death toll of more than 80 people. 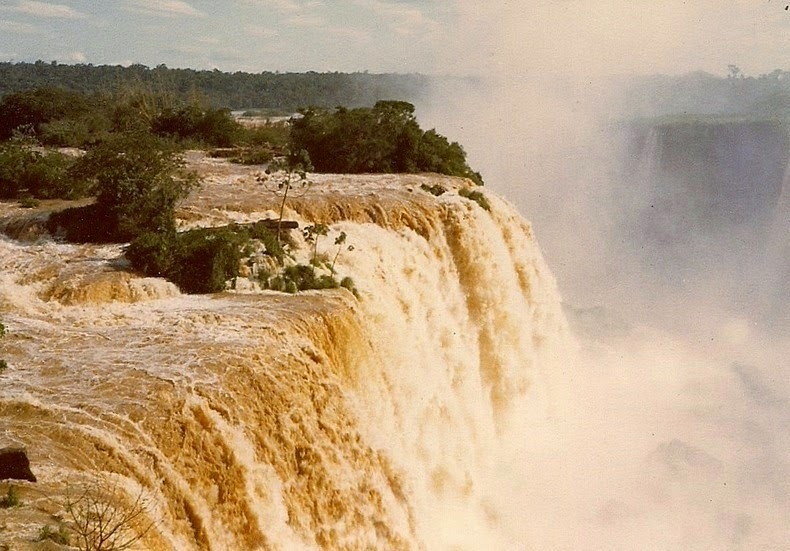 Therefore as the waters starts to rise, hundreds of people congregated to participate in a guarup, an indigenous ritual in memory of the falls. 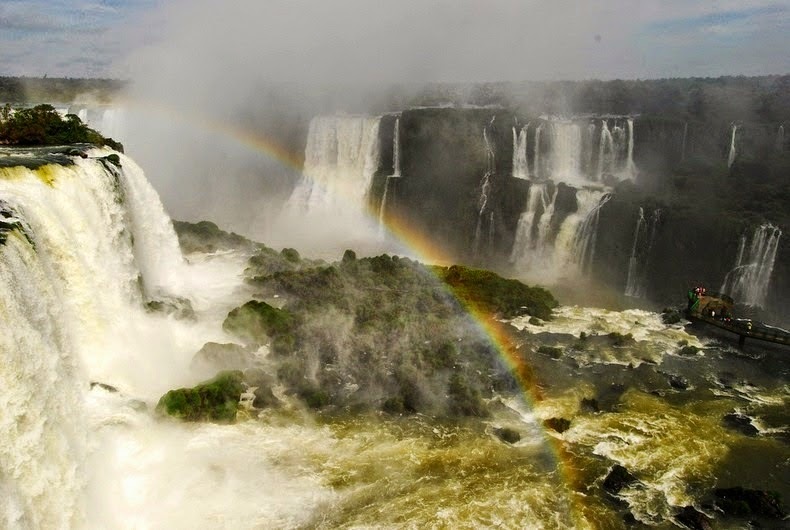 The inundation took only 14 days, happening during the rainy season when the level of the Paraná River was high. Then on October 27, 1982, the reservoir was fully shaped and the falls had vanished. 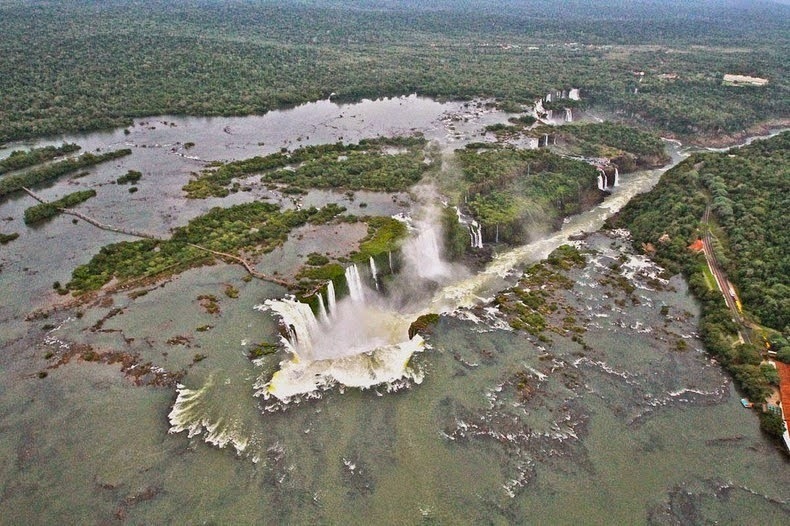 The Brazilian government later dynamited the submerged rock face of the falls, to encourage safer navigation on the river. The director of the company that built the dam, later issued a statement saying, "We're not destroying Seven Falls. 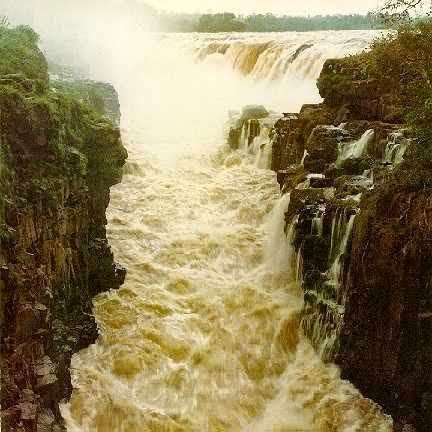 We're just going to transfer it to Itaipu Dam, whose spillway will be a substitute for [the falls'] beauty" however apparently it is impossible to take pictures of the Guairá Falls these days, I’ve collected below pictures from different websites.